A Senate panel on 24 October approved legislation to renew the National Security Agency’s internet surveillance program, while other lawmakers pushed a competing measure seeking to end the ability to search for data on Americans without a warrant. 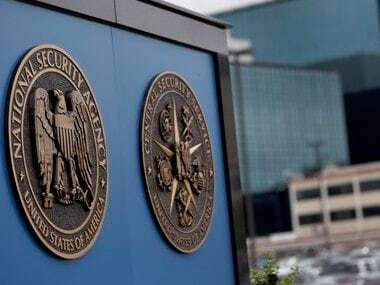 United States' National Security Agency. The competing plans were likely to complicate congressional renewal of that law, known as Section 702 of the Foreign Intelligence Surveillance Act, due to expire at the end of the year. The Trump administration supports a permanent renewal of the program without any changes. The Senate Intelligence Committee voted 12-3 to advance legislation renewing Section 702 until 31 December 2025. The panel voted privately, meaning it did not immediately share the bill text, a common practice for the committee. Senators Richard Burr and Mark Warner, the panel’s Republican and Democratic leaders, said in a statement the bill would protect national security while improving privacy protections for Americans and adding transparency requirements about who can be targeted. The three no votes came from Democrats, including Senator Ron Wyden, an author of the alternative measure. US intelligence officials value Section 702, calling it a vital tool for fighting national and cyber security threats and helping protect American allies. It allows US intelligence agencies to eavesdrop on and store vast amounts of digital communications from foreign suspects living outside the United States. The panel unanimously adopted an amendment from Warner, requiring the Federal Bureau of Investigation to send any queries it makes for US data to the Foreign Intelligence Surveillance Court, according to a source familiar with the vote. The court would have two days to review the query for legality, the source said. Privacy advocates have blasted the bill, saying it does not contain enough safeguards. Some complained that a version of the bill that had leaked might even expand the US government’s surveillance powers. Fourteen other senators introduced legislation that would require the NSA to obtain a warrant for queries of data on Americans under an internet surveillance program. The effort, led by Wyden and Republican Rand Paul, would reform other aspects of the warrantless program. The surveillance program, classified details of which were exposed in 2013 by former NSA contractor Edward Snowden, also incidentally scoops up communications of Americans, including if they communicate with a foreign target living overseas. Those communications can then be subject to searches without a warrant, including by the FBI. The USA Rights Act authored by Wyden and Paul would end that practice. The measure was introduced with support from more than 40 civil society groups, including the American Civil Liberties Union and FreedomWorks. A companion bill was introduced in the House of Representatives. It would renew Section 702 for four years with additional transparency and oversight provisions, such as making it easier for individuals to raise legal challenges against the law and expand the oversight jurisdiction of the Privacy and Civil Liberties Oversight Board, a government watchdog. Earlier this month, a bipartisan group in the House introduced separate legislation to add privacy protections to Section 702, including partially restricting the FBI’s ability to access US data when investigating a crime. Privacy groups criticized that plan as too narrow.